Sometimes everything seems so hard… you don't know what to do, or who to talk to about personal or intimate matters. I am here to listen to you, and to give you support in thinking things through and helping you work out what to do - whilst at the same time promising you total confidentiality. My name is Katrina Almougy. with families with a member who is sick, needing constant attention, or elderly. I believe that the main task for every therapist should be the empowerment of her or his clients. My aim is to help clients take back control over their own lives, to help them help themselves, and to offer them a source of support at a time when they need one so desperately. 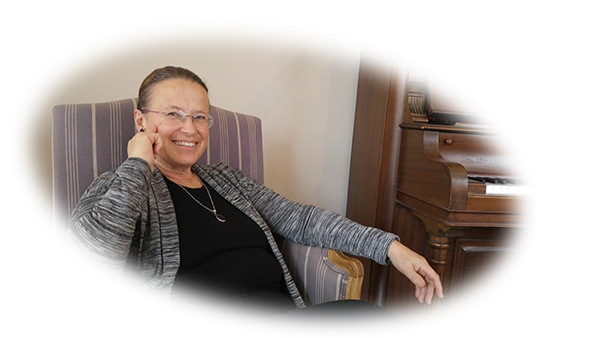 I am a certified family and couple therapist, an educational counsellor,and also a supervisor of therapists licensed by the Israeli Association for Marital and Family Therapy and Family Life Education. I am also a mediator for those who decide on divorce by consent working with all sectors of the community. I work in both English and Hebrew. For over 40 years, I have been assisting children and adults to manage to cope in situations of difficulties, stress, distress and crisis - as an educational counsellor in schools, as a facilitator of support groups for parents of children of different age groups and problems, and as a family therapist in my private clinic and in centres for family and couple therapy. Therapy sessions are conducted in one to one, couple, family or group frameworks - according to the most appropriate work frame for each individual case. The aim is to bring about a change and improvement in the lives of the couple and the family, or to strengthen their ability to confront crises such as separation and divorce. Therapy sessions take place in my clinics in Herzlia or in Karkur, at a mutually convenient hour. In special circumstances, it is possible to arrange the meeting in the family's home . Recently I have also started conducting sessions on Skype when couples really cannot manage to come for personal meetings. To schedule a meeting please call 054-4631 532.